From today on, I will be sharing my own outfits that I have been wearing with you. So here it is, my first outfit of the day. You can find out where to get the look at the end of the blog. 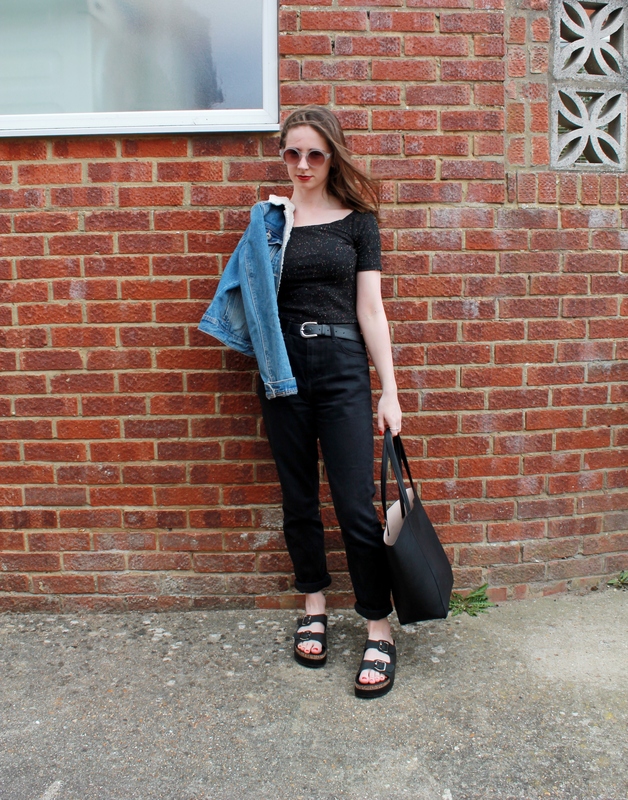 The sun has been showing itself quite a lot recently but it may not be warm enough for the baring of legs just yet so I chose to pair some loose black mom jeans with a retro off the shoulder top and some sleek flatform sandals. 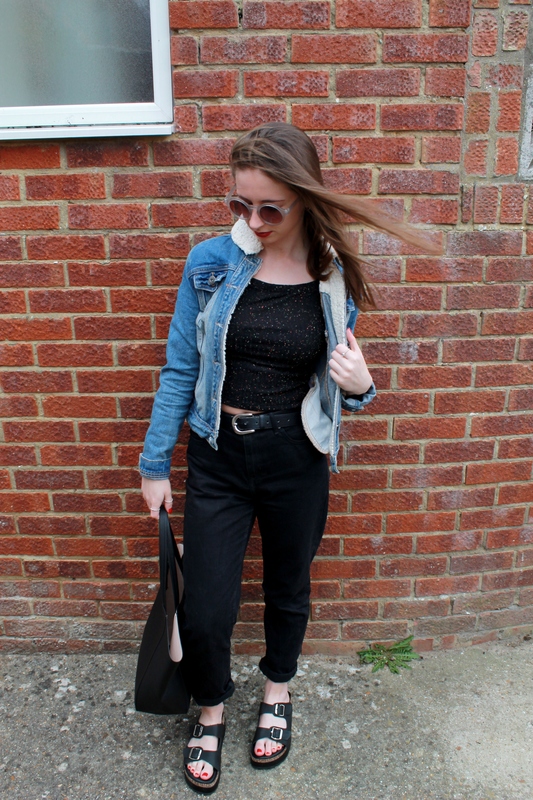 Who said you couldn’t wear denim on denim? It worked in the seventies, it can work now! 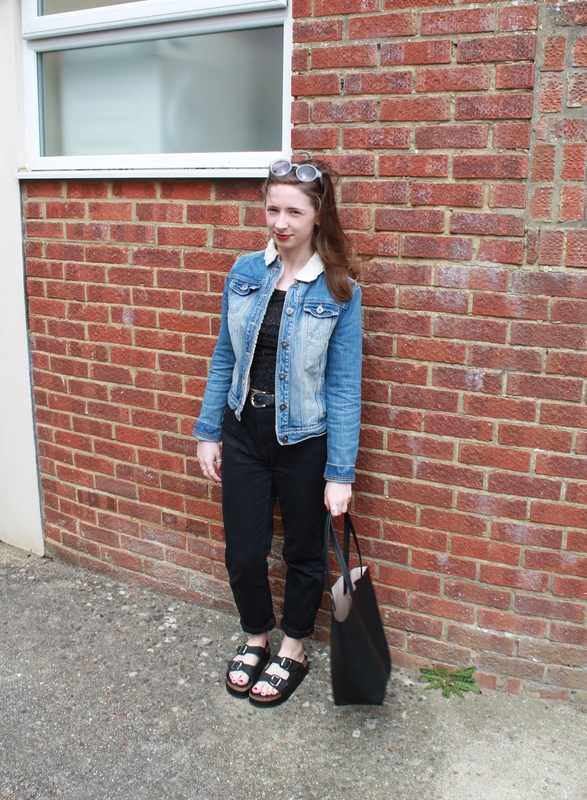 Here I have overlayed the outfit with a denim jacket matching the mom jeans. 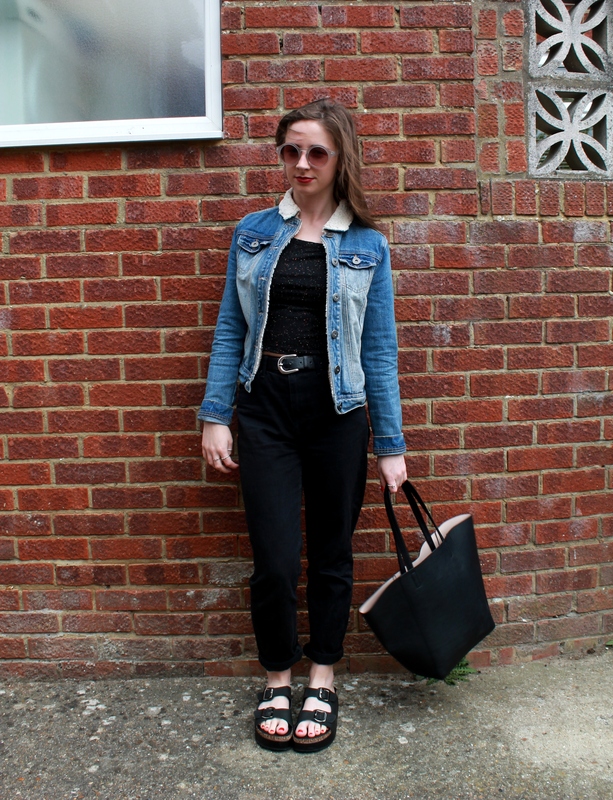 A black shopper bag and a pair of retro sunglasses finished the outfit off.